The race will be on Sunday at 10:00 am, beginning at the woods of Molyvos next to the football field. 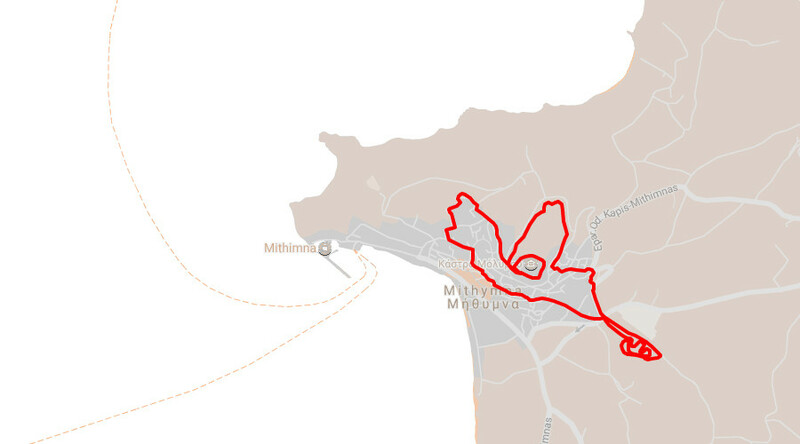 The course of the race will take place within the village of Molyvos along the cobblestoned pathways and the decorated courtyards, which will accompany the runners until they reach the highest point of the route, the castle, which is also the first station. Taking the descent upon the asphalt road, we turn right and following the path with great care as we cross the forest beneath the wall of the castle. We then return to the neighborhoods of Molyvos with the plethora of steps and small alleys as well as the dozens of volunteers who will help us and point us in the right direction to stay upon the path, until we reach the finish line.